Revisiting the Telstar 19 Vantage launch aboard a SpaceX Falcon 9 rocket on 22 July 2018. 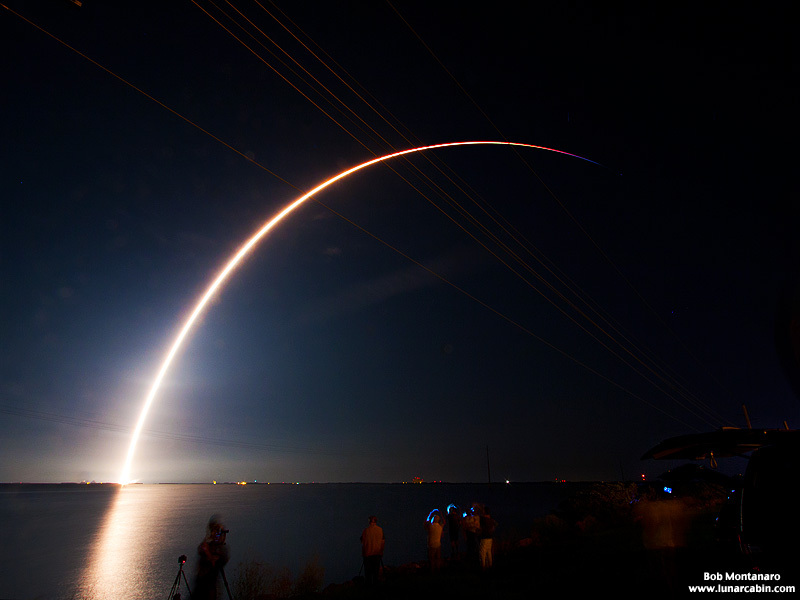 A time exposure reveals the arc the rocket takes as it follows the curve of the Earth traveling into orbit. Click for more Telstar 19 launch photos.